Fresh on the Market! 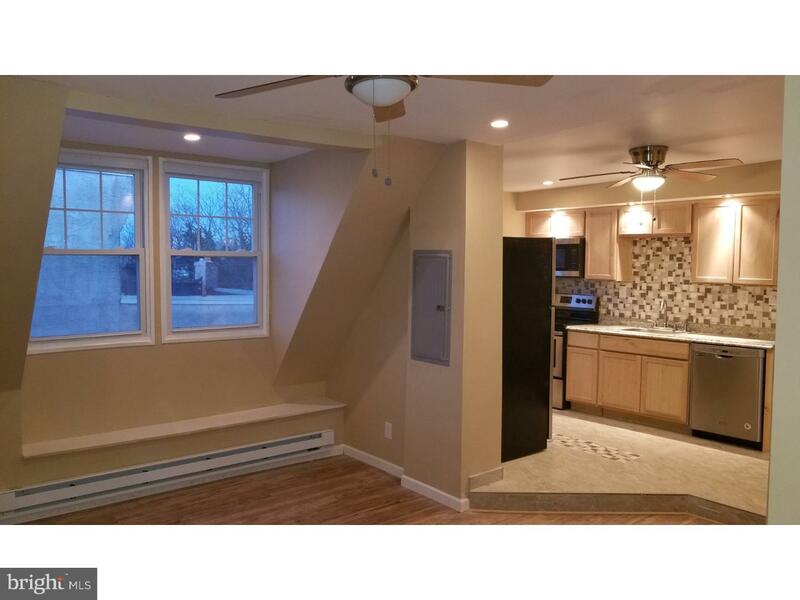 This is a large West Philly/UCity 2 BR 1 BA 3rd Fl apt. You enter this unit directly into the Living room which features beautiful hardwood laminate flooring, ceiling fan, and recessed lighting. The Kitchen is a level higher than other areas with ceramic tile floor, new cabinets with an earth tone counter-top, and stainless steel appliances (Stove, microwave, fridge, & dishwasher) and an attractive back splash. To the rear is the accommodating bathroom with stone color ceramic tiling throughout and a modern vanity and mirror in dark mahogany. Just through the hallway is the 2nd of two Bedrooms. This room is spacious and has ample closet space. To the front is a large and bright Bedroom with an extra large closet and a electric fireplace. Let's not forget the laundry area located in the unit as well. The entire Apt has either recessed lighting or ceiling fans with lighting. This is a gorgeous unit just rehabbed with tons of natural light. It won't last so schedule your personal tour today! Open house is scheduled for Sun 3/31 from Noon-1 pm. Inquire to get confirmed for this open tour.